Actually, the problems with Simpson washers happen very rarely. In fact, if you treat them as they deserve, the washing machine may work without any issues for many, many years. But even if some problems do occur, you will be able to get rid of them quite easily. All you’ll need to do is give us a call! Our team of experienced professionals will come by to inspect the washing machine and fix the issue in the shortest time possible. Whatever the problem might be, you can be certain that Do-All Appliance Service team has everything needed to take care of it. Your only job is to let us know if there’s a problem. The sooner you do it, the better. So, if the performance of your Simpson washer is all but perfect, feel free to give us a call. When to Call Do-All Appliance Service? 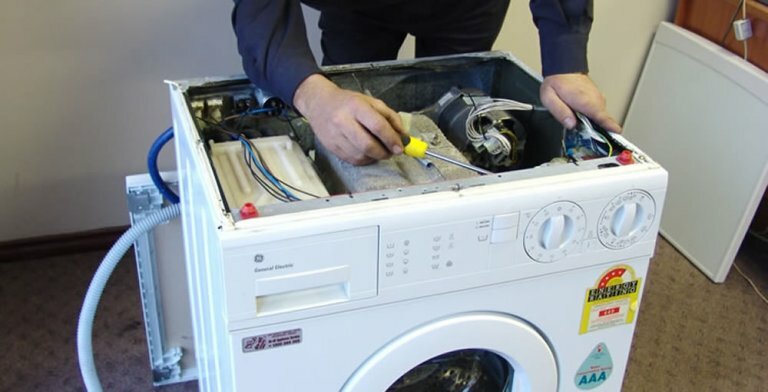 The best would be to have our team do the inspection of your washing machine on a regular basis. That way, you will be able to prevent the washer from breaking. But, not only that, you would also ensure that the laundry gets cleaned properly, while not taking a toll on its softness. For all of the problems from the list above, our team has a solution. But, not only that, we have what it takes to deal with virtually any problem you might have with your Simpson washer. Furthermore, our service is not limited to Simpson washing machine repairs only. In fact, you can give us a call to help you with your washing machine regardless of the brand. The members of our team have the expertise and the experience needed for dealing with literally any kind of washing machine that can be found in Australian households. You can forget about Simpson washing machine repairs, as there won’t be a need for them if you take good care of it.You can improve the life of your washer by doing a few simple things. For example, try not to overload it with laundry and make sure to use the optimal amount of washing powder and softener. Furthermore, it’s also wise to clean the dispenser for powder/softener from time to time. Otherwise, it might clog certain parts of the washer. Still, the best advice we can give you about the maintenance of your Simpson washing machine is to have our service team to check it on a regular basis. Our team is also experienced with refrigerator repair and other electrical appliances repairs of all kinds.